The premise of the show is that contestants try to answer questions as did a group of 100 people who had the survey question posed to them. Then the host refers to the board to see if the contestant’s answer matches one up there. For many, Richard Dawson’s voice crying out “Survey says…” is stuck in our collective consciousness. So that’s where the title of this post comes from. we posted a survey through our Facebook page. At the time of the survey our Facebook page (CCBirthCenter) had 1330 followers. 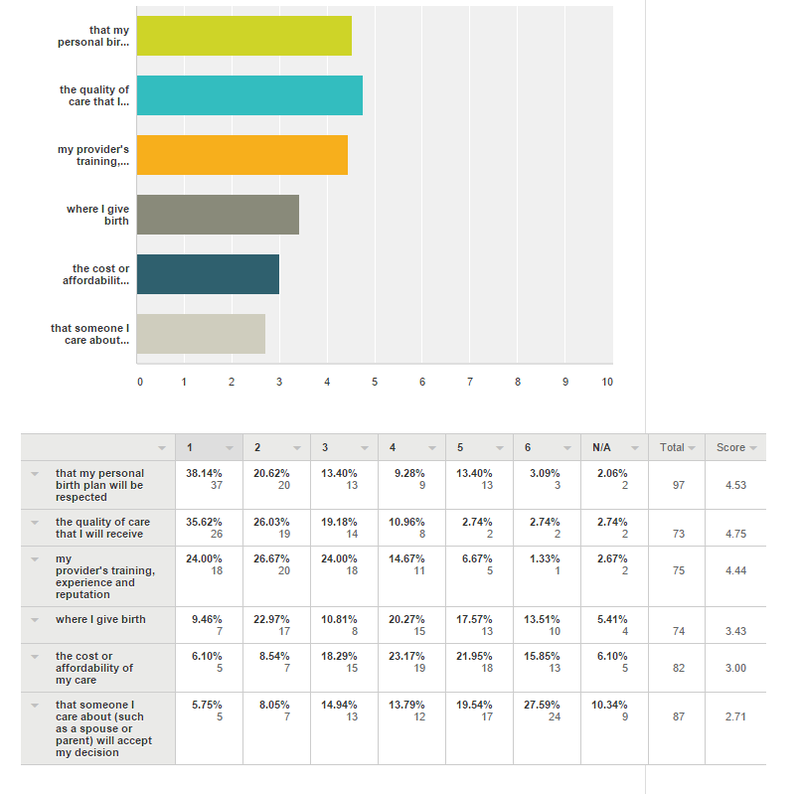 We used SurveyMonkey, to conduct this survey and got 100 responses in just 4 days. 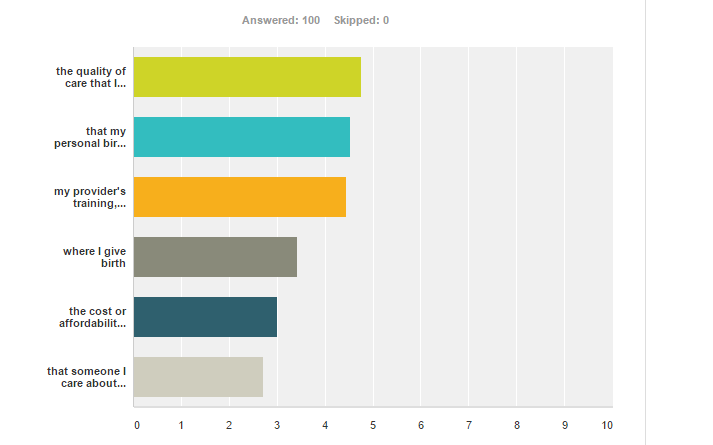 Unfortunately, Survey Monkey only allows for 100 responses to their free surveys and charges for anything over 100. Nevertheless, 100 is an adequate number to get a good idea of what our followers want. So we stopped the survey after reaching 100. We asked only one question on our survey. We intentionally had Survey Monkey display the potential answers in random order each time the survey was taken so that the order in which they appeared would be totally random. Each time a person ranked the value of one of the choices, that choice was given a value based on their answer. If they ranked it #1 it was given a score of 5. If #2, it was given a score of 4 and so forth. By scoring each choice this way, we are able to see how 100 people as a whole value each choice. We can also look at the individual items and see which one was ranked #1 the most or #5 the most and so forth. 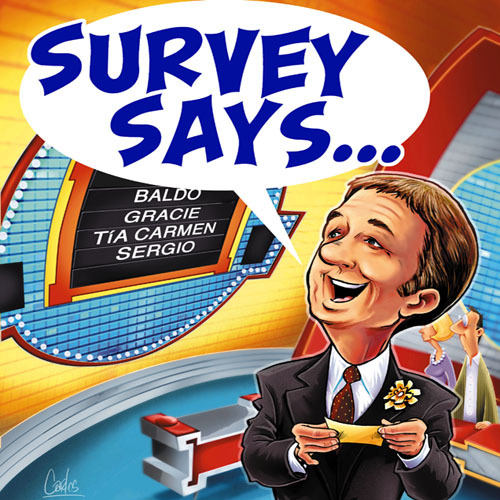 Survey Monkey allows us to sort the data different ways to see these results. “The quality of care” ranked most important in overall importance among 100 participants. Now, I will sort the data by what answer got chosen as #1 the most often. The results are slightly different as you will see but otherwise about the same. The first two forerunners switched places this time but the order of everything else remains the same.